Kamakura Yuigahama Post Office is a 1 minute walk from Sasame bus stop. Wadazuka sta. is convinient for going to Yuigahama Beach. 5 minutes walk from Enoshima Electric Railway Line WADAZUKA Station . 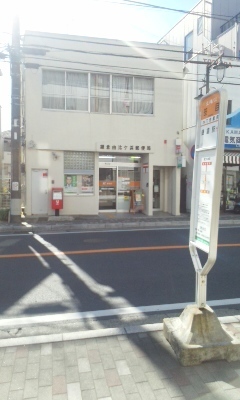 "Kamakura Yuigahama Post Office is a 1 minute walk from Sasame bus stop. Wadazuka sta. is convinient for going to Yuigahama Beach. "